Roy Mayall, a pseudonym (obviously), has worked as a postman for the last five years. This article originally appeared as a letter in the London Review of Books, 8 October 2009. This is a great article, really explains what's going on. It's very sad as well. This is a great article, actually a lot of your stuff around the post office has been really good and I've been trying to forward a lot of it around the country to various people working in the post office in Canada. The struggles are very similar if not a little further along than here. Would be good if this was circulated to more people. I am hearing alot of anti CWU/striking crap in the media at the moment. So hopefully people won't be fooled. It wasn't a letter, mind. It was the (more prestigious) 'Diary' on the last two pages of content, often written by some bigwig like Berger or Ravenhill. The better for that. what si said. it matters a little, because if you look for it in the letters you won't find it. yeah no it really wasn't on the letters page. I really do not understand how figures can be down in the postal service. I still get the same amount of junk mail that I always did. There are also many letters that I get and we can't forget the paper bills. They are using the Internet and technology as an excuse. Thank you for a very informative & interesting letter. I wish more of the reasons behind the action was on tv, but thats the way it is today isn't it? and if you moaned you were made to feel like a wimp. The arrival of accountants in BT was the death nail of common sense and public service. Royal Mail is now viewed in the same light as the telecoms industry - a money making racket. If the telecoms industry has proved one thing its that it can be run and controlled by brain dead idiots and still make millions per day. Why? Because its an essential part of the infrastructure. We dont want it - we need it. Royal Mail is now controlled by accountants and brain dead idiots. Public service is now second to the real reason for "modernisation" - Money, profits and most important of all? Huge bonuses for the top dogs - the bosses who are planning the destruction of another great British public service will pat themselves on a job well done and pay themselves millions in bonuses and retire at forty-three. edit - this was in response to a comment which has now been deleted. so what if you'd happily accept a position in Royal Mail? Why does that mean people who've alreay got those jobs shouldn't try to make them better? Anyway, these strikes are mainly about jobs: cuts to positions. So you're even less likely to get a job in Royal Mail - and more likely to face greater competiton in the jobs market from ex-Royal Mail workers - if the strikes fail. Did you make any effort to stop yourself being made redundant by organisng with other workers? Perhaps you did. But if not, I don't see what position you're in to criticise those who are defending jobs. Strikes on the tube and at Tower Hamlets College have fought redundancies with some success this year, to name just two. 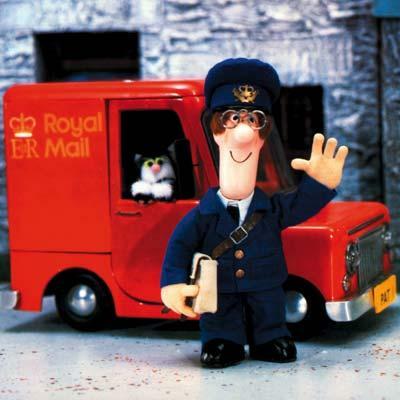 Like Roy Mayall writing in your issue of 24 September, I am a postman and concerned at the absence in the media of any account of how mail delivery is organised and what Royal Mail’s modernisation programme entails.